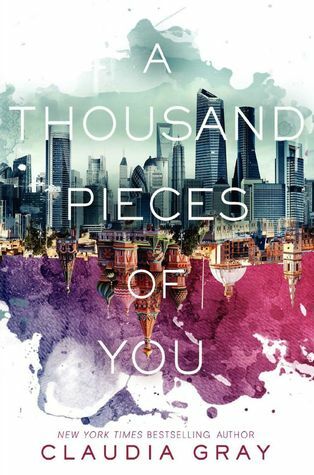 Review in a Nutshell: A Thousand Pieces of You is a unique, fascinating sci-fi adventure with plenty of twists that will have you dying for the sequel. A Thousand Pieces of You follows Marguerite Caine, desperate to capture her father’s murderer, his assistant, Paul. Except, Paul has escaped, using the Firebird, an invention her father and mother worked with him to develop. It allowed him to jump through dimensions and hide in other versions of himself, but Marguerite has a Firebird of her own, leading to an epic inter-dimensional chase where nothing is what it seems. There are so many fascinating settings in this book. Every dimension has its own unique aspect, and not only does it make for a neat location, but it also has a different impact on the characters. I don’t want to talk about every different location, because half of the magic is discovering the places, but I will say that my favorite has to be the Russiaverse. Claudia Gray’s writing style is quick, fun, and entertaining. It’s you’re classic YA, first-person writing style with plenty of humor, romance, and action. It’s easy to devour and enjoy. I loved the plot of this book. The Science Fiction aspects of the book are well developed and fascinating and don’t require too much suspension of disbelief. With the dimension-hopping, the pace never feels slow of boring. There’s always something exciting happening. There were definitely some not-so-surprising twists, mixed with some that completely shocked me. I love that you could predict some aspects, but never the entire thing. The characters in this book are fun and entertaining. Marguerite is an interesting protagonist, and while she occasionally fell into the Ya protagonist cliches, I never found myself being annoyed at her. Paul is probably my favorite character in this book. He’s not your typical charismatic and charming guy found in YA novels, which was refreshing. Theo definitely falls into the charming category, but it’s his sense of humor that really shines in this book. There is a love-triangle (fair warning to anyone who despises them), but this one is handled well and not god awful like most. A Thousand Pieces of You is a fantastic sci-fi romance that will make you dream of wandering through dimensions.